How does energy healing align with cosmic laws? Recently a lot of stuff is activating for me. I can also find a catalytic energy that some might call a healing ability. So the question came up again for me, wether to use it for "healing" or not, what healing really is and when it is aligned with what I call the organic path. I want to share my insights, wich might be controversial to some, and would like to hear how you feel about healing. The very idea of one soul healing another is not acceptable to me either. All healing is self healing - or it isn't healing but removal of symptoms. The only healer is source/god. To belive to be a "healer" seems to be yet another ego-trip. There are methods of body-work and also energy-healing, that allow a person to process stuff on their own - I am not referring to this, but to methods that appear as miracle healings. True healing is realingnment with the flow, release of attachment, empowerment and reconnection to soul. An aligned healer (in my truth) would enable another person to heal herself, but never manipulate their energy field or shift their karma. They might hold a certain frquency in their own field that the other can come in resonance to, but the work has to be non-invasive. I think the term "catalyst" that Chris introduced captures very well what I feel. That being said, there are always exceptions as the flow can flow many ways. If my intuition would tell me to project energy, I would defintely do so. But to consider oneself a healer is something entirely different and doesn't feel right to me. There seem to be arrangements between souls to play the healer-game - just as we play mother-child, student-teacher. But as in all these games the invitation I feel is to move beyond it to a meeting of souls in pure truth and always look on how to empower the other. What if a soul is too lost to get out without a helping hand? If you can heal, don't you even have an obligation to do so? Can it be that the experience the soul needs is smply condensed in a very short time in moment of letting go? What is your take on things? Yes these are very deep and important questions. I sense the exploration will quietly push many buttons in those reading - I think that's also positive. 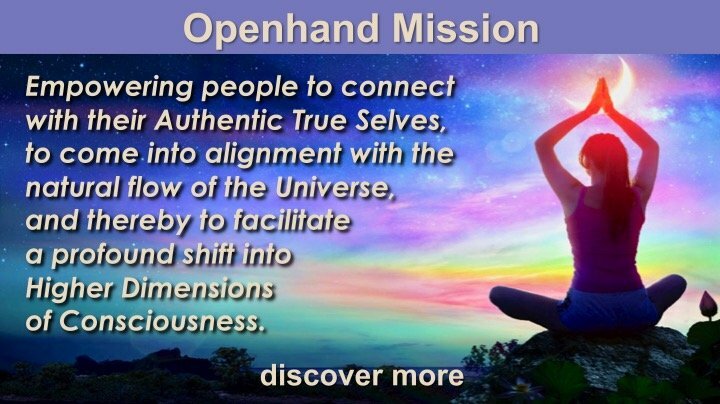 From the Openhand perspective (mine anyway), there is but one true purpose to life - that is self realisation. Each soul is here realising key aspects of the absolute - what I sense you call "God". How can there be anything else going on since the self is all there is? How can there be anything else to know or experience? Illness or 'dis-ease' happens as a direct result of a lower level of realisation - where the flow has been retarded or blocked. The energy coils like an eddy current drawing in blocked energy. Importantly though, the eddy current can only form because of the lack of alignment of that soul with the flow - because of the lower level of realisation than the surrounding field and how it is moving. A healer could remove the debris from the eddy current, but not the eddy current itself - because that's caused by the lack of realisation and alignment. In fact in my experience, removing the debris can actually retard progression rather than accelerate it - although it may well temporarily remove the symptoms of the disharmony. It retards evolution because it removes the evidence for the eddy current. It makes the eddy current acceptable - invisible even. So the person doesn't think anything is wrong. But if we have the debris, we're more able to see and feel the convoluted flow. So what then is the purpose of a true healer? Is there such a thing? In my reality yes there still is value in 'healing' when correctly understood. In my book, a true healer would sit in the stream next to the eddy current and resonate the frequency of the stream more strongly. Importantly though, it is not his own resonance that he's causing the other to align to. He's empathising with their vibration - because he can feel it - and then activating that. Above all, the 'patient' (I don't have another word for it at the moment), will notice and feel their own realignment. They will feel they're doing it by themselves - with support from the facilitator. In this regard, I've noticed that when I work with someone, I may well see their karma (which happens a lot), but I am never given ALL of the pieces of their jigsaw. How could I be? It is there jigsaw, their perspective from their reality which only they know. So I can resonate a frequency, see the missing pieces and even point to them, but I can't grasp them - even though I think I might be able to. I know many 'healers' fall into this trap. To me, a true facilitators will in this regard act like a catalyst. But what is a catalyst? Importantly a catalyst DOES NOT CHANGE THE OUTCOME OF A GIVEN REACTION, IT SIMPLY ACCELERATES IT. In this way, the patient is always of the knowing they self realised and not someone else for them. I ask what earthly point would there be for someone to self-realise for us? How can that be? Surely this defies the right of self determination? Surely it defies the whole relativistic experience that we're having? I'd say such practice really does contravene the universal law of free will. And I mean by that free will of the soul. Not the ego led desire to be released from pain (pain being an entirely natural self-realisation experience and of great value). I've noticed that if the 'healer' does over step the mark and own the self realisation process of another, then the 'patient' is never quite sure if they have truly processed what they were meant to. And sometime when - further down the line - when they encounter similar circumstances that recreate the karma, the self doubt sure enough drags them back into the repetitive loop - the eddy current fills with debris again. To me true healing is a co-creative experience. Every time I 'heal someone', I notice what is actually happening is that I'm finding a deeper level of realisation myself - a deeper sophistication in how I express. So there is always an exchange happening. This feels healthy to me and I observe the approach has a powerful catalytic affect all round. I'm not healing anyone. I'm simply expressing my soul, finding every finer vibrations and thereby causing those I engage with to do the same. I'd like to offer two important examples of where (from my perspective) healing can go 'wrong'. I'm sure many will have heard of the "Reconnection" healing by Eric Pearl. It's a huge practice and has reached many thousands of people around the world. I watched one video where a lady had for many years been unable to lift her arms above her shoulders. So within a few minutes of energy manipulation, suddenly the lady can reach above her head - a 'miraculous' healing had taken place. But I ask why couldn't the lady lift her arms up in the first place? In my knowing everything is energy, and in this plane, we're often limited by karma or its effects. The problem was caused because she had some karmic past life attachment or experience which she was unable to see. And now, the evidence had been removed. 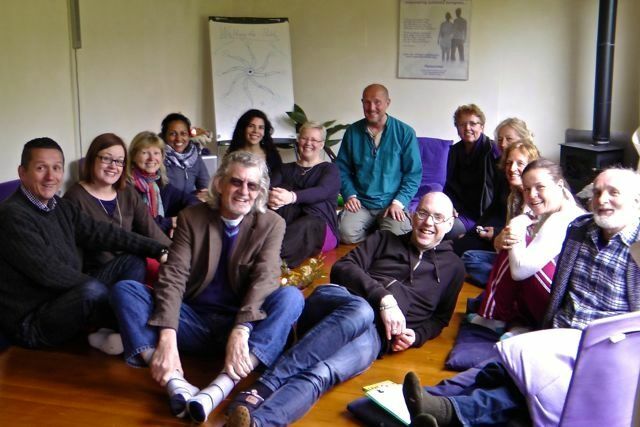 In my experience, although I greatly resonate with the openness of the Reconnective healing, what is much more effective is to first take people into their resistance and to fully feel it. In this way, the karma activates, they get a taste of why they've been so limited - AND ABOVE ALL - they're now able to release their attachment to it. 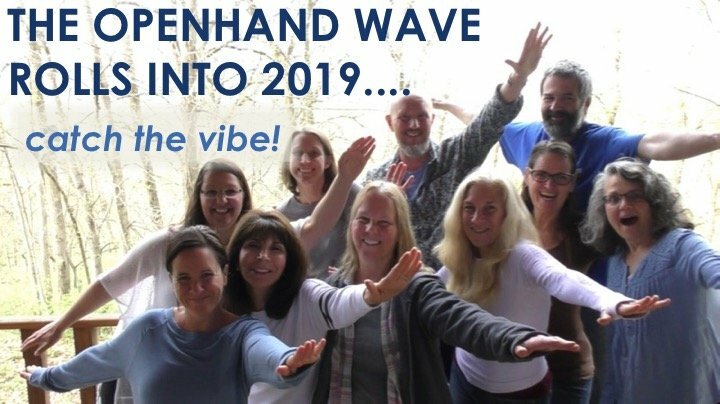 Then the realignment - reconnection - healing can happen. Otherwise it simply returns in another guise. Another example: I was stood once in queue in an organic food store. The lady in front of me was talking to the cashier and saying how she'd been recently greatly helped by hypnotherapy. She'd been grinding her teeth and the therapy had helped her stop that. I couldn't stop myself but to ask (it just welled up from within me) "so why were you grinding your teeth?" The lady turned, smiled and said "oh, because I hate my job!" And herein lies the key point. Every disharmony we may have points to something we're resisting, blocking or not realising. But to simply remove the symptoms often removes our ability to process the lower level of realisation. I can see where you are coming from that healing someone is essentially disempowering and could even cause more problems. I was just wondering what your on Reiki would be. I thought it was not the reiki practitioner healing the client, but the energy itself flowing and working with the person's own energy. 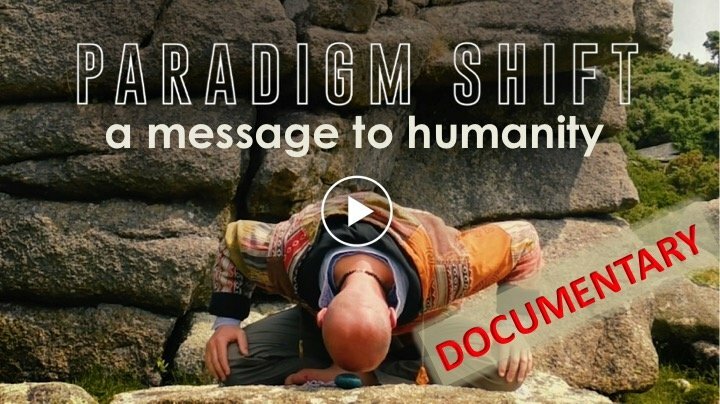 And David, you say "My information on energy projecting like Reiki for example is that it is not healing at all but merely shifts karma and that it is connected to a non-benevolent synthetic force in the 4th dimension." Do you have more info on this, or does anyone else. I have been involved with reiki in the past and would like to be sure about it before I return to it! I've never seen it as a 'miracle' cure - for me, it has tended to bring issues to my attention to be worked on. I've heard of experimentation where Reiki actually retarded the flow of healing energy rather than accelerated it. But personally I wouldn't go as far as to say it was at all negative. I know there are many healers with loving intent - I do get a positive feeling about the practice in general in terms of intent. I'd say we're being invited to evolve how we look at and consider healing. It's all a question of how the energy wants to flow. To me, it's not a question of healing, because there will always be a limit on our ability if we approach any engagement (any moment) with an idea of "this is how it should be", "this is what would be a 'good' outcome here". Rather, there is an invitation to always align with "Right Action" what ever that is. To give you an example, a 'client' once asked me to conduct some distance healing on a close relative who was seriously ill in hospital with cancer. I wasn't sure about it at the time, I was still finding my alignment to what healing is really all about. I felt compassion for the person and for the plight of their relative. So I agreed to work on it and spent the next hour meditating and holding energy around that person. A couple of days later, I heard back from my 'client'. Their relative had come out of their pain, sat up in bed and shared some fond exchanges. And a couple of hours after that she passed on. Fortunately my client was evolved enough to see that this was "Right Outcome" and that the person had been helped to move on in the most comfortable way. From that moment on - which was a very powerful teaching for me - my perspective on healing changed (evolved). I see my role as that of facilitating Right Action. The key being not to judge the outcome by some kind of idea of what we think should happen. However I've found that there always tends to be some kind of synchronistic affirmation when we are in the flow. I know that certain practices - like Reiki - can bring you into a state where you are in the flow. My concern though is that if this becomes a dogma of "we have to act like this in order to achieve that". Frequently I observe there is this kind of intent. And I'd say that's what we must evolve beyond to be truly effective. my information on Reiki are my personal feelings and intuitive insights. I am not sure wether all that is called Reiki is Reiki anyway. What I refer to is a transmission of a 4D-energy, that the practicioner is connected to in a ritual/ an initiation (no matter how his personal state is, as long as he pays the fee.) I gues we can all transmit energy through our hands and that will happen very naturally for most bodyworkers and that is totally fine. But I sense that is different from Reiki, wich I feel has a specific frequency and quality. "It is about your heart. About the wish to help others and yourself. This is much more important than all the rest. It is just only about that. For me, it is not about the saving of the world or anything like that. It is just about the wish to help everybody. And this will always be good, no matter how badly it is executed. If an action comes from your heart, and only from the heart, then there will be no arguing about it." Wich for me raises the same question: Who wants to help? What is real help? And is it really true that "meaning it well" is enough? Thank you both for your replies. I agree that where the impulse to work comes from is really important. We always started working with someone with words along the lines of 'may this healing be for the highest good of all beings everywhere', and I used to make it clear that the outcome might not be what was expected eg their knee pain might not disappear, but that something would have changed as the ki energy knows what needs to be done, and it might not be what the person is expecting. The aspects of reiki that I was personally unsure about were the attunements (why do I have to be attuned to this energy when I feel it is freely available to all) and the more 'secret' symbols as you progress within reiki (a little too ritualised for my liking). I wondered if these were 'distortions' of the original way of working? For this reason, I did not use them and tended to stick with the basics. I guess that, as in everything we do, we must maintain an awareness of our motives and actions and any feeling of 'not-right-ness'. I feel the need for projecting energy is definitely a part of my karma. Whenever i step into my power I can always feel this powerful ray 1 energy wanting to do something with my power. I also get a sense I have used my hands to heal in my past life. It actually happened today I went to a mindfulness workshop at university out of interest. We were doing a body awareness exercise and there's this girl lying next to me making some digestive noises in her body, I could feel certain discomfort in her and intentionally transfered my energy onto her as I felt I had a lot of energy in my body. Interestingly, quickly her noise just stopped and I wasn't sure if it had anything to do with what I did. There's another instance a few months ago, a close friend of mine visited me, he's a beginner meditator, he just suddenly sat on my bed and started meditating, I felt to meditate with him and during the meditation I decided to hold his hand and transfer energy onto him, and intentionally lifted him up. After we finished, he said he felt really high like he's never experienced anything like that before. But the problem is that it almost feels too natural for me to want to do something with my energy (when I feel high), and it can often feel like a very authentic benevolent desire to want to project loving energy onto others and help them expand their awareness and see what's possible. Im only beginning to explore this area. Very interesting stuff! Reiki has undergone a huge change over the last few years, or perhaps it would be better to say that a changed version is available, as many people are still very attached to the "westernised" version, with its attunements and secret symbols that have very little to do with the founder Mikao Usui. The "new Reiki", or Japanese-style, as taught by people like Taggart King (who I trained with) is seen much more as a spiritual path, and much less about "being a healer". On the subject of attuning rituals of whatever kind he says "I prefer to see them as allowing you to recognise something that is already there within you, rather than a way of hooking you up to some new energy source that you were not connected to before." I do send distance healing, which I feel to be very gentle, just offered for use as required. Yes indeed, thanks Lyn. That explains a lot and I feel much more at peace about the Reiki approach now. "I prefer to see them as allowing you to recognise something that is already there within you, rather than a way of hooking you up to some new energy source that you were not connected to before." When someone presents to me, if I'm meant to work with them, suddenly I'll feel their issues inside of myself. And I'll know aspects of their karma that creates the tightness. Then rather than project energy outside of myself, I direct it inwards to those particular areas. I should also add 'projecting energy' is not an effort, nor an intention. Simply because those feelings are activated, I know I'm supposed to work with them and all I have to do is bring attention to them - consciousness is energy. They are the same thing. When this happens, I invite the person I'm helping to feel the pain in them (or the movement of energy). Sometimes it may be so subtle for them that it's difficult to feel. But frequently, the more focus I bring to their pain inside of me, the stronger they feel it - catalysis of energy is now happening. Once they feel it, the healing can really begin. I then ask them to talk about it. Usually the soul will start speaking. My consciousness will then be spiked to words they use - communication happens through multiple channels at a soul level - I also hear their distortions coming through the ego. My intuition plays back the words together with imagery which now starts activating in their causal body. As appropriate, I'll share some of the imagery and ask them what it means to them or what they feel about it. It's vital to keep bringing people back into feeling so as not to too deeply engage mind in the descriptive process. Usually this takes them deeper into the activation/healing process. I'll keep asking them how they feel inside, because all the time, energy is now shifting. Other parts of the body will activate, so the dance continues until the karma has been felt, deeply explored and then released. What people then usually feel is a deep infusion of light. That fragment of soul that had been locked within the karma has now been liberated and reintegrated - hence the infusion of light. So finally, I'll ask the person to bring their attention to the infusion which will help strengthen it. A new way of being has now been attained. I accept that in order to work this way, requires one to be very open and harmonious within oneself. It only starts to happen once we've processed a good deal of our own karma - or else we'd be feeling our own stuff rather than the other persons. So I'd say the first steps to this kind of evolved practice would be first to channel energy as it is felt, but then to explore with the person what they are feeling - all the while empowering them by bringing their attention to what is going on for them. Thanks also for sharing Lei. Your post communicates a number of things. "There's another instance a few months ago, a close friend of mine visited me, he's a beginner meditator, he just suddenly sat on my bed and started meditating, I felt to meditate with him and during the meditation I decided to hold his hand and transfer energy onto him, and intentionally lifted him up. After we finished, he said he felt really high like he's never experienced anything like that before. " Secondly, I'd say it would help greatly to then explore with them a little more deeply how they felt. And then to be sure to explain that it was their own energy they were feeling. All that we had done was to provide an activating frequency. That way, the other person owns their own empowerment and the experience is much more likely to integrate and stay. But as I said, I think its marvelous to work this way and I would only want to encourage it - just with the addition of empowering the other to realise it is their own energy activating. Those who come to ask for healing/help/advice, etc are not less responsible for what is going on than a healer. I'll share both of my perspectives. Why do I go and ask for help? Because I want to get rid of pain? Because I feel I can't do it on my own? Because I want it to go the easy way? Never. I feel many times these pulls, but the only time when I go to any kind of session is when I feel I have no other choice. I am just being brought there. Here for me the most important thing is not to let the mind rationalise why I am there and what I am there for. This question is usually asked: why are you here? what do you expect? This is the time for both me and whoever I was being brought to contact to feel it all out and see what's going on. For me there are no expectations. I never know why I am there. But I have to say something, right? So I am just saying whatever is coming up. Sometimes it has nothing to do with what really bothers me in my life at that moment. In addition, others can do as as much as we allow to. And we all can always say that we don't want it, whatever is happening and that it doesn't feel right. It is OUR responsibility. From the perspective of 'healers' it is just the same. There is no other person to be helped outside. Usually, I find, there is a reason why people meet for BOTH parties. And even if it was created by distortion, since the universe is adapting, it soon becomes another opportunity to learn. There is always something to learn. If we keep in mind that whatever is happening is a learning experience for ourselves, then it can help not to get too lost in this healing role. I myself find it a bit hard, because even a clear and pure state becomes owned by ego just so fast and turns to another identity. About energies transferring - I am never sure what energy I am dealing with (yet anyway), be it myself or somebody else, unless I just connect with my own soul. But then how can I 'heal'? So I really resonate with what Trin and Chris say. It is just being me, connecting with my own energy and by this creating a field, which then can induce resonance within anybody who is close to it. And another thing is that maybe the 'wrong' way of healing was meant to happen for one or both people to learn from it and realise. It is great to theorise, but when you do it, you really learn and other things may get triggered, like guilt, fear to try again, etc. So I decided for myself that I will be as honest, as careful and as responsible as I can, but I won't put myself into some theoretic box of "don't do this or that" because it is wrong. Sometimes doing the wrong thing is the right thing. I can never know what and why my soul will bring me do. I am following, keep aware and seeing what is activated for ME and what to do with it. It is hard enough. I felt it is important to add. Sometimes when I get this pull to help somebody, I check if I am centered or not. Am I emotionally triggered, projecting, or is it a real pull? A soul-led action rarely pulls me out of my center to the extent I become totally blind. I can get into blind spot state, but I am now talking about action itself. So this leaning forward out of my center towards somebody out there is felt really well. I suddenly lose the ability to watch myself in the action. Another interesting thing is this sense of wrongness. It is always there when we're doing something against the universal laws. It might feel like the naughtiness of children when they do something they are not supposed to in a playful way, or as ego wanting to play and check its power. I am not judging myself for these. Judgement could block the right action, which well might be trying and doing it, enjoying our power over somebody else and while doing so losing our attachment to it. Maybe there is no other way for me to process it? So... I would say that this anxiety about doing damage can also be an obstacle. We just don't know. And if I don't know, then I can relax, center and just keep focusing on exploring myself. Thank you for your comment, Lyn. It was helpful to hear that and it makes a lot of sense. As Trinity says, the original message often gets distorted along the way. To heal or not to heal? Reiki was one of the first therapies that introduced me into the world of "healing". It benefited me, and it certainly opened my eyes to beyond that of conventional western approaches. But I always had a question about the whole intention aspect. After practising it for a while, I found that it actually limited what being in the space with another could potentially catalyze. Some of the most powerful sessions I had, were where I was just being me, holding the space for what wanted to unfold. It also seemed more empowering for the client as they realised or found something inside of them, I was merely holding an energy that pointed them in the right direction. For the vast majority of the people of the Western world they have been educated to "get help" if something is wrong with them. Their egos run around crying "help me, help me, who will save me?". And the medical and medicine industries smile. You have to be very spiritually aware and really trust the Universe to go deep and clear any illness and the dis-ease behind it by yourself. If you are somewhere in between the two above it can feel good to get some help but at the end of the day we heal or don't heal ourselves. So, I believe it is a good thing and an important role if you are helping people heal themselves. That is probably the question to ask, "Am I helping them heal themselves?". Whether you naturally 'work' from your soul or not? you need physical awareness, about what it is that you can let go No karma in that sense, but exactly what you need? What are your thoughts on the nature of energy healing? Hi everyone - I felt to draw attention to this forum topic on energy healing, that we've had running for several years. Clearly it's a practice, in various forms, that is becoming increasingly sought after and practiced in these challenging times. 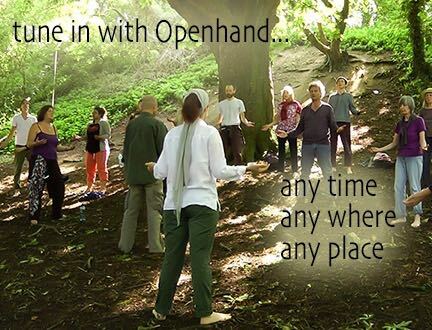 From the Openhand perspective, there are two aspects to energy healing: (1) Self-realisation, the lack of which, caused the problem in the first place (2) The removal of blocking energy that's gathered because of the lack of self-realisation around that particular issue. Crucially, blocking energy will either return, or refer to somewhere else in the energy field, if the self realisation has not first been actualised. I watched a well known energy healer 'miraculously cure' someone on youtube a while back. The lady couldn't lift her arms above waist height. The energy healer removed the blocking energy, to which, within a few moments, the lady was able to lift her arms above her head. But it left the question: why wasn't she able to raise her arms? What was the karma influencing her? And so an opportunity was missed to process the karma and self-realise through it. And the likelihood is that the problem would refer elsewhere in her energy field. So helping someone 'remember' - resonate - with the key aspect of soul which got stuck in the karmic distortion is also essential for the 'healing' to take place. Let's be clear, I'm NOT saying energy healing isn't of value, I believe it most definitely is. However, from the Openhand perspective, for it to be truly successful, it must go hand in hand with the self-realisation. To support that here at Openhand, we apply what we call the SEER approach. I wrote note about healing in my diary yesterday !. I find this post very synchronistic because I actually work within a hospital. In the ICU I have a sense of creating a field with the baby in question . And in that field that is between our heart centres ( I see it as a circle) there opens up a field of possibility ,a portal so to speak. And then whatever needs to be done by me shows it self . Because of this very heartfelt approach ,very few of 'my' babies ever need or get intensive intervention (antibiotics,invasive ventilation etc.) This field has taught me to avoid many many practices that I was taught which interfere with the babies' capacity to heal. If and when I tune in (much more frequently now) I am "told" what to do and the result is a gentler ,more loving transition for the child . This tends to radiate out to the baby's family and even my nurses who are all beautiful souls . I am ascribed with many a 'miracle' though I know it's the field doing the work ,not me . I feel called to do circle with girls recently . Circles to initiate them into being authentic powerful women. And yesterday I felt deep grieving ( I basically was teary eyed the entire day yesterday) .I wrote a very sad story about female infanticide in India( Started off writing something else and then this just flowed through into my pen) and in the middle of all that emotion, was given these insights as well which I feel are to initiate me into being ready for these circles. Healing I think is just a word for the flow of energy within us . I think when we allow that benevolent energy to flow within us we are all healers . I'm marvelling at the timing of this re-post . Thank you ! Hi Megha - thanks so much for sharing - what an inspiring story. Clearly you're having a lovely heart warming impact in these infants lives. One of the crucial things about the "self realisation" aspect of true healing, is that it doesn't have to be an intellectual thing - it doesn't have to be understood by the person realising. It can be felt as a resonance in the field and then naturally integrated. So a baby can 'self-realise' through the connection of a resonance, but not need to understand at the level of the intellect what is going on. I had a couple of realisations recently about it, via retrospection of the past and observation in the present. People feel uncomfortable with being helped or helping. This whole topic of disempowerment is like "wow, chill". I put summary ahead. It is enough to get the point. After that I extend. It is okay to need help and it is okay to help, and it is okay to do it in any way, all ways, different ways, even it it looks bizarre or inappropriate to us. Saying that somebody else is healing is one extreme. Saying that we can do it on our own is another extreme. It's a two-way highway and it is a totally mutual thing (two people playing some kind of thing out to learn or have an experience from it). Let's take a totally extreme situation. Sometimes people lift people on their shoulders and carry them for a while, like when picking people after accidents. Totally, it's a resque. And? Why not? Go visit hospitals, especially with people in disassociation. They can grow too. They can learn they can walk, despite their deep belief. And they wouldn't realise it without external help. Or if somebody is stuck in a swamp, he will need a horse or a person to pull him out of this sticky, sucking thing. He NEEDS help. And it is okay. We do need stuff, okay? hh It is okay to need help/reflection/view, etc. It is not disempowering. It is one of the keys to evolution and connection, to realise what we need when we need it and look/ask for it. What would we do without each other? But hey, those who want to grow, as a conscious choice and commitment, will usually look for reflections, for assistance from outside, someone or something (people, healers, therapists, friends, books, teachers, gurus, music, nature, animals, objects, imagination) to communicate with and learn from, and it is better be something relevant to the current process and be able to point at stuff we wouldn't see/experience on our own. I, personally, hold a massive degree of humbleness about this whole "doing it alone", and "self"-realisation thing. C'mon. Nobody does it alone, and sometimes we really need to get squeezed by external forces to let go. We don't just "aaah, so nice, I am letting go" hhh We are all sort of healers and facilitators, when we interact, just by communication. We make each other do things we never knew we could or would. Facilitation or healing, specifically, is just one of the forms of interaction/communication that assist this realisation. Just like with any other forms, there is a reason why we ask for it and there is a choice where we take it and what we do with it. We need something specific. And there is this guidance that takes us to different people, communities, and healers too, who focus on specific things that we need on our path. I have some questions for you too. I hope others find it useful too. Is it possible to feel others energy, share their thoughts through the exchange of few words over the Internet. What if the they are connected or in some kind of relationship and thus having similar inquiry? How do we truly know what is ours and what is theirs? By surrendering and realigning our fields are we also influencing their field even though both are physically apart? Is it disempowering to work this way? Indeed eevryone is activating and inlfuencing each other that way - often unconsciously. I'd say it's all about learning to recognise the flow, the interconnectivity that draws people together, and how best to be and act within that - above all, coming from authentic self. So you'll have a blend of empathic and catalytic qualities. Sometimes you may feel rising energy to focus and express, sometimes to soften and hold the space. It's an inner dance. The more skilled you become at recognising what's called for in your own soul qualities in the moment, the more beneficial uplifting impact you can have - and also to know when to withdraw when necessary. I find it life's dynamic exploration of self.